The Milwaukee M18ONEIWF12-0 is a 1/2" Impact wrench with friction ring and built in ONE-KEY™ technology. This particular model is a zero tool which means that batteries and charger are sold separately. 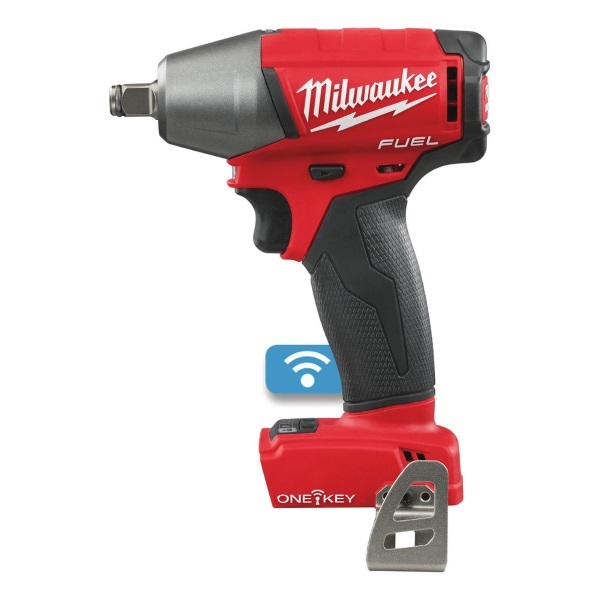 Connect your tool via Bluetooth® by using the Milwaukee® ONE-KEY™ app, once you have set your tool up you can utilise this app by setting up to four custom settings to the tools memory. These settings an include speed, torque and start -end speeds. The ONE-KEY app also has an inventory function for total management of your complete Milwaukee tool collection. You are also able to remotely "lock" your tool (providing it is within range) should you misplace it and using the built in tracking system to locate it again. This tool is fully interchangeable with the complete range of Milwaukee® M18™ batteries.